Choo! Choo! 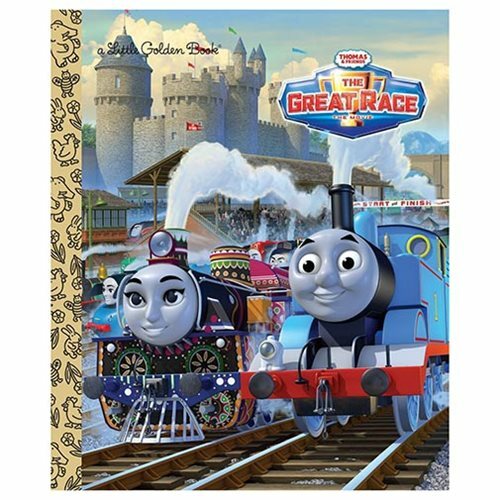 Train fans will love the Thomas the Tank Engine Thomas and Friends The Great Race Little Golden Book. The book tells the story of Thomas the Tank Engine and his friends and their adventures at the Island of Sodor. The 24 page book measures about 7 9/10-inches tall x 6 3/5-inches wide. All ages.